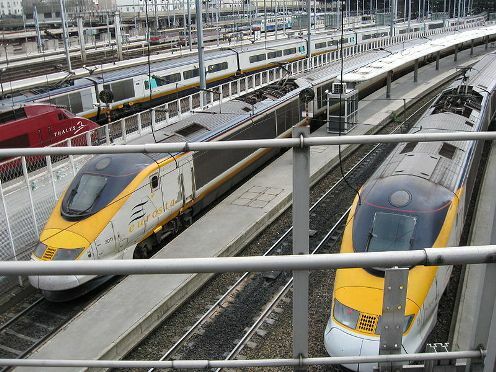 Eurostar is High Speed Train that connect London, Paris and Brussels. They transport through Channel Tunnel between Britain and France. The current Eurostar e320 can run at the speed of 320 km/hour (199 mph).The electric systems used is 25 kV 50 Hz. This train can bring 900 passengers.